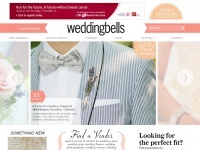 In total 32 links were found which refer to Chicagolandweddings.net. Individual words like Weddings and Chicago are frequently used in text links from other websites. The most important link sources for this website are Chicagorealestateagents.info and Chicagolandantiques.com. 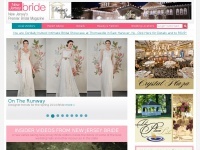 The homepage of Chicagolandweddings.net and the subsite are most referenced by other websites. The table shows the most important links to Chicagolandweddings.net. The table is sorted in descending order by importance. 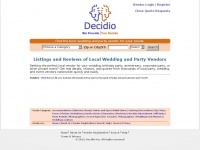 The table shows websites of Chicagolandweddings.net, which are often linked by other websites and therefore they are classified as important content. The web server with the IP-address 107.189.160.196 used by Chicagolandweddings.net is owned by Input Output Flood LLC and is located in Mesquite, USA. 61 other websites are located on this web server. Most of them are provided in the english language. Only a few websites on this web server are x-rated. 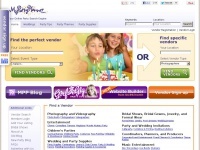 The websites of Chicagolandweddings.net are served by a Apache server. The content management system WordPress is used. The HTML pages were created with the latest standard HTML 5. Due to the robot information on the webpage, the following actions by webcrawlers are not allowed: using the description of the website from the Open Directory project. All other actions by webcrawlers are allowed.